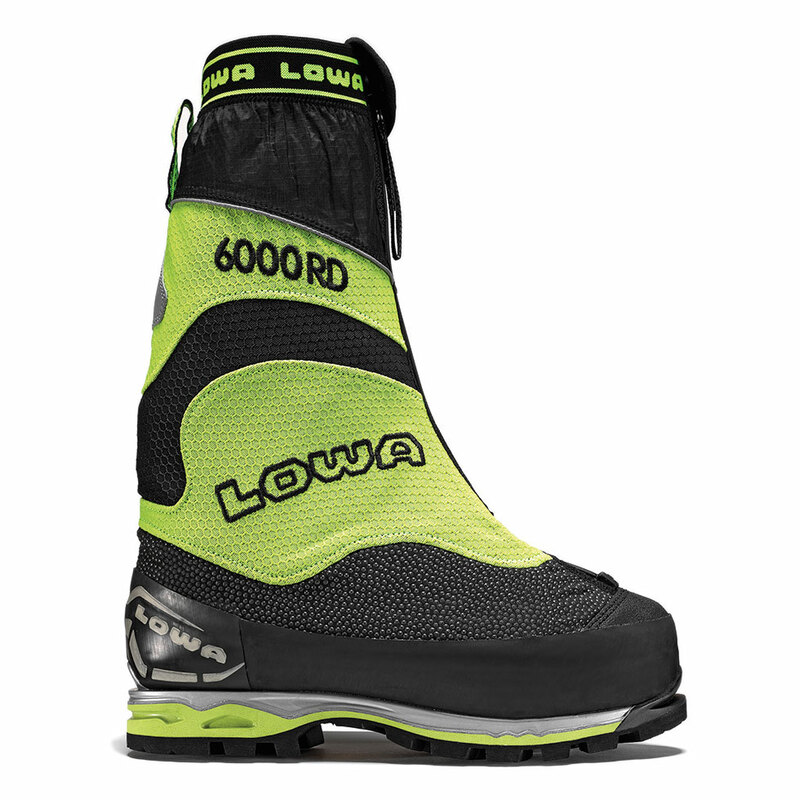 Designed for 6000m peaks. Double construction with insulation for warmth and reflective technologies to retain heat. TIZIP closure gaiter for weather protection and durability. High wall rubber rand for durability against rock and gear. Automatic crampon compatible. I purchased this boot after trying the Latok boot at the Ouray ice festival(in the same size). I was impressed with the width of the toe box and still sensitive for technical climbing. Since then, I've used the boots on Denali up to 18 000 ft. on the west buttress and an attempt on the Cassin ridge. I've also spent many days waterfall ice/mixed climbing(up to WI5/M8) in the Canadian Rockies during deep cold snaps. I've been impressed with the overall feel of the boot. I was never cold in them. The durability has been outstanding, showing minimum wear after two and half winters in them. The inner boot can easily be adjusted looser for hiking, then cranking down the ankle strap for climbing. Compared to my partner's boots (Sportiva G2 SM) they are much heavier, but fit is more important! Fit is very subjective but the function is without a doubt excellent for me.